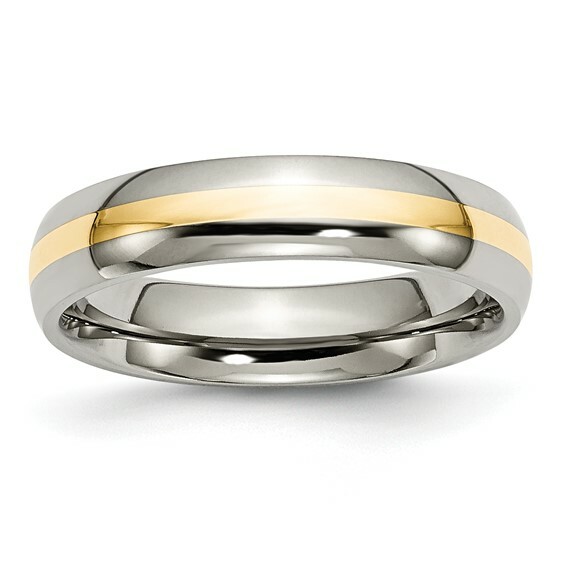 Polished domed titanium wedding band features a 14kt yellow gold inlay. Width: 5mm. Comfort fit. Made of commercially pure [CP] titanium. Import.